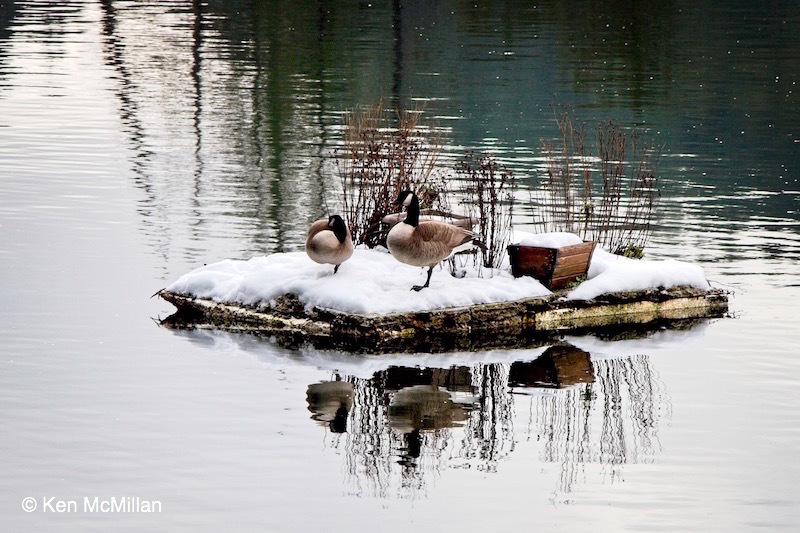 This entry was posted in Birds, Weather, Wildlife and tagged British Columbia, Canada Geese, ocean, photography, snow, wildlife. Bookmark the permalink. I love this winter island paradise. Thanks Jet! This is a small floating “island” that is anchored in front of my sister’s house. The geese are permanent residents and nest on the island in the Spring. Is that little dock in Secret Cove by any chance? Looks familiar. Good detecting Laurie! Yes it is in Secret Cove.